Cowboy symbols represent a spirit of independence and self-reliance. The American cowboy lives what he believes, and does not worry about conforming to anyone’s mold. At the same time, a cowboy is a man of substance, strength and courage. Cowboy symbols of cowboy hats, cowboy boots, spurs, horses, and belt buckles are evidence of the real culture of hard work, horsemanship, and individualism. We just might need the cowboy spirit more than ever today, to preserve the principles our country was founded upon. “Every culture needs legends and heroes; the cowboy is one of America’s best. We see honor, hard work, strength and freedom in the cowboy; we envy the simplicity of his long day’s labor and the wide-open spaces he roams. Little boys want to grow up to be him, and many little girls want to grow up and marry him. He contains the last vestiges of wildness allowed in the new millennium, and as much as our country changes, he remains the same. 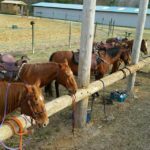 The result of this forum lead to the National Day of the American Cowboy. Cowboy slang is an important part of our language. Cowboy clothing is an inseparable part of everyday American life. 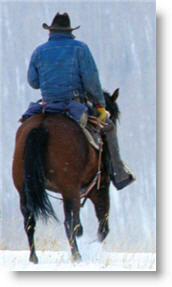 And one of the most evident symbols of cowboy life – the tradition of cowboy poetry and music – thrive in our lives today. What began as folk tunes about the lives of cowboys, sung with no accompaniment or perhaps a lone guitar, has evolved into a fantastic, world-wide, billion dollar industry. But who are the real cowboys, today and in the past? The life of a cowboy was anything but glamorous – it was a daily task of hard work and long, lonesome hours. How did this working class group of individuals reach such fame and status in American history and media? What really is the history of American cowboys and cowboy symbols?